Montgomery's 2018 Kolacky Days Royalty (from left) Queen Rianna Doyle, First Princess Elizabeth Trnka, Second Princess Maggie Trnka & Miss Congeniality Kailey Mach. Montgomery's ambassadors for 2017 (from left) Queen Anna Franek, 1st Princess Becca Simon, & 2ns Princess and Miss Congeniality Amanda Way. Kolacky Days Royalty 2016 (from left) Queen Lexy Malecha, First Princess Brianna Rutt, Second Princess Grace Krautkremer, and Miss Congeniality Haley Dietz. 2015 Kolacky Days Royalty are Queen Megan Rabenberg, 1st Princess Ashlyn Barnett, 2nd Princess Annica Reddeman, & Miss Congeniality Kelsey Davis. Kolacky Days Royalty 2013 are Queen Alexandra Trnka, center, First Princess and Miss Congeniality Kayla Trcka, right, and Second Princess Katelyn Stasney, left. Montgomery's ambassadors for 2010 are (from left) Kolacky Queen Cassie Kubes, First Princess and Miss Congeniality Jenna Boyle, and Second Princess Nicole Berdan. Montgomery's Kolacky Royalty 2006. 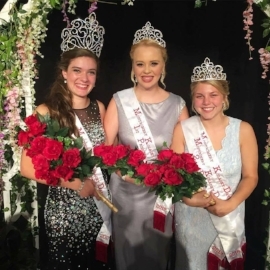 From left: Queen Brittni Wiechmann, First Princess Elly Franek, and Second Princess and Miss Congeniality Brandilyn Reak. 2005 Kolacky Days Royalty, left to right, Queen Samantha Barnett, First Princess Holly Ilg, Second Princess Ashley Rosier, and Miss Congeniality Nicole Skluzacek. The 2003 Kolacky Days Royalty. From left: Queen Holly Vlasak, First Princess and Miss Congeniality Rozlynn Korbel, Second Princess Jill Hoefs. Montgomery's Kolacky Royalty 2001. From left: Queen Meghan Petricka, First Princess Vicki Worm, Second Princess Ann Washa and Miss Congeniality Gail Kukacka. Montgomery's Kolacky Royalty 2002. From left: Queen Debbie Jindra, First Princess Ashley Vlasak, Second Princess Alyssa Herzog and Miss Congeniality Sarah Vlasak. 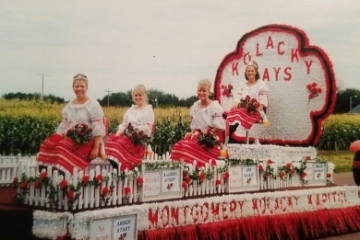 Montgomery's Kolacky Royalty 2000. From left: Miss Congeniality Kaycee Taylor, Second Princess Kendra Taylor, First Princess Chelsea Petree, and Queen Sara Krohn. 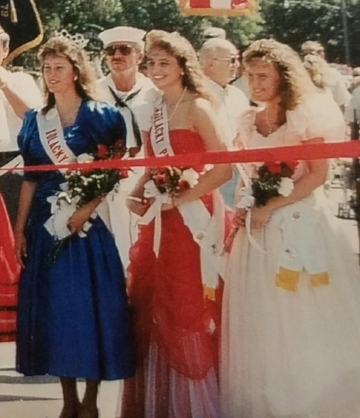 Montgomery's 1992 Kolacky Days Royalty From Left: Miss Congeniality Ann Mladek, 1st Princess Christina Jelinek, 2nd Princess Jackie Martin and Queen Jacqueline Tupy. Montgomery's Ambassadors for 1988. From Front to Back: Miss Congeniality Colleen Perkinson, Second Princess Chrissy Dietz, First Princess Susy Herrmann, and Queen Connie David. 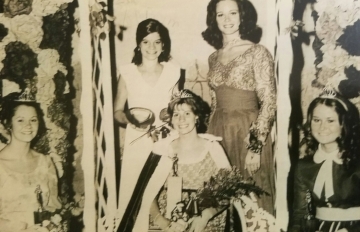 Montgomery's Ambassadors for 1971 were Queen Carol Grimm, 1st Princess Jan Embretson, 2nd Princess Miriam Koschade, and Miss Congeniality Teri Wondra. 1967 Kolacky Day Royalty. 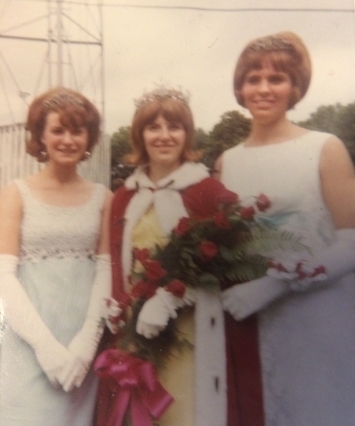 1stPrincess Linda Krocak, 1966 Queen Betty Jean Corbett, 1967 Queen Susan Pany, and 2nd Princess Karen Holicky. 1956 Kolacky Day Royalty - Queen Gloria Miller with Dorothy David and Marion Jakes. 1941 Kolacky Day Royalty - Queen Betty Wondra with Margaret Stryzinski and Alice Krenik. 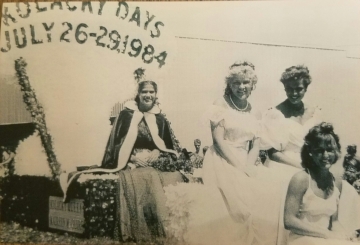 Montgomery's 1937 Kolacky Day Royalty- Queen Evelyn Hruby with Irene Lorence, Helen Kennedy, Deliah Sauter, and Lorraine Krocak as attendants. 1932 Kolacky Day Royalty. Queen Irma Malone with Sylvia Zelenka, Lillian Lusk, Bernice Malone, and Dora Kozel as attendants. The 1935 Kolacky Day Royalty. Queen Leone Hendrickson with Mae Washa, Ione Mladek, Ella Krocak, and Esteleen Janovsky as attendants. 1933 Kolacky Queen Emma Zelenka with Lillian Lusk, Ione Mladek, Gladys Peroutka, and Ruth Murphy as attendants. Montgomery's 1st Kolacky Day Royal Court. 1931 Kolacky Day Queen Leatta Ehmke with Ella Krocak, Sylvia Zelenka, Anna Zelenka, and Bernice Malone as attendants.